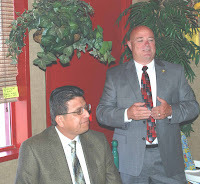 Ironwood State Prison Warden (A) Tim Busby served as the keynote speaker for the June 1 Blythe Community Network Luncheon and gave area residents and dignitaries a peek inside the operations of the prison. Warden Busby walked the attendees through a typical day at the institution, stressing the important role of custody staff in ensuring that the prison run safely and humanely and be a good neighbor to the community. 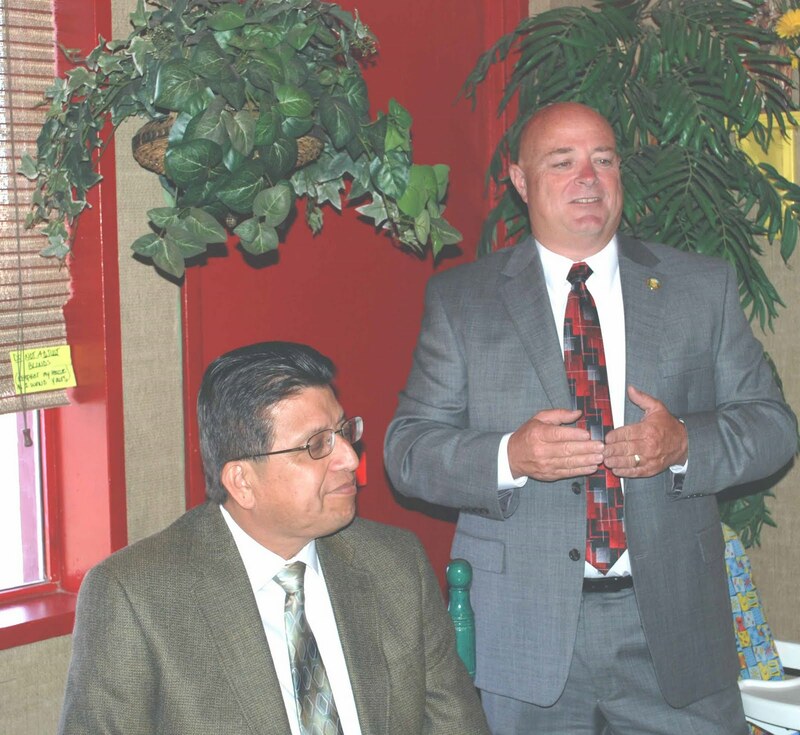 Warden Busby (r) speaks at the event. The Warden told attendees that the primary mission of Ironwood State Prison (ISP) is to improve public safety through the confinement of minimum and medium custody male offenders, while providing them life improvement skills needed to successfully re-integrate into society upon parole. ISP was opened February 1, 1994, covers 640 acres and houses approximately 4,000 inmates. The luncheon was attended by Blythe residents along with staff from the Chuckawalla Valley State Prison, Riverside County Probation Department, Palo Verde School District and the Black History Museum. The Community Network Luncheon is open to the public and helps the community of Blythe provide information to the local residents about operations and businesses in the community. CDCR leadership appreciates the opportunity to speak to the community at large on a local level about ongoing CDCR operations and programs that promote public safety.